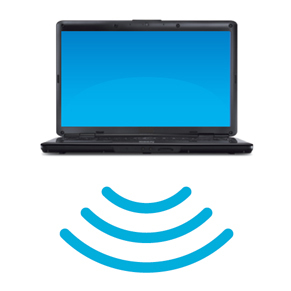 Wirelessly connect up to seven Bluetooth-enabled devices. 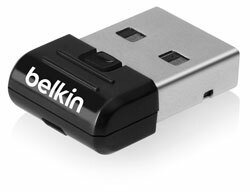 The Belkin Mini Bluetooth V4.0 Adapter provides cable-free connections to devices up to 10 meters away indoors. This compact, stylish adapter is unobtrusive when plugged into a USB port, and draws minimal energy, so it's perfect to leave plugged in and take anywhere. 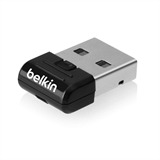 It is also backward-compatible with legacy Bluetooth technology.